If you don’t like this, you must be a robot. My fave Weeping Willows song. 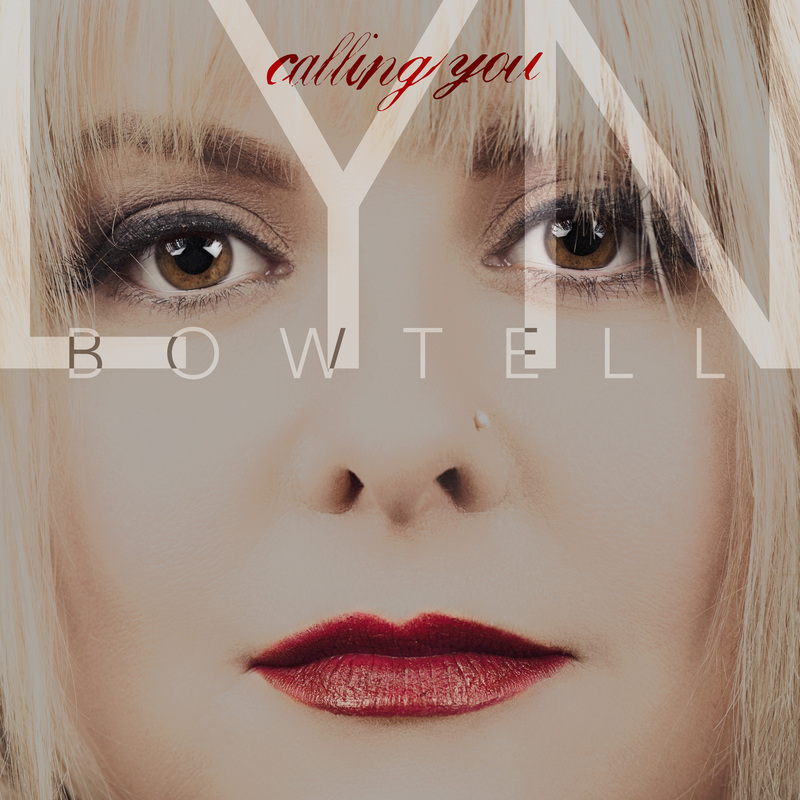 Nobody in Australian Country Music has morphed in to so many forms as Lyn Bowtell. There are few female voices in Australia who could cover the gamut of genres and vocal gymnastics to the extent of excellence that Lyn Bowtell does. One of my all time favourite country music artists in Australia for her wit, charm, sincerity, generosity and abundance of pure magical talent, our gem has now branched out into other fields of music and the word is spreading to a more diverse crowd. This is thanks in part to a bold move by Lyn to go onto the tv show “The Voice”. I thought, WTF, when she first went on, because I thought that she was too good for a talent show and she doesn’t need to prove anything. What our Lyn did, however, was open some doors and introduce her magnificence to an audience who would (wrongly) not listen to a country music singer otherwise and thus shooting down some myths about country singers. It also offered that dreaded word, exposure. She should have gone further in the competition but the light has been turned on and people are not so negative. The fact that a country boy ended up winning helps too! This EEP (extended, extended play), features two classics which she sang on the show and four originals. Encore, Encore, The Voice sings proudly on! He Burns: Poppy, beat driven, catchy number – voice still powers through everything. All My Life: We often talk about haunting voices in Australian Country Music these days – Lyn is probably one of the front runners in that aspect A nice mellow song that is a bit sad but beautiful. Calling You: The title track of the EEP and another showcase for Lyn’s extremely amazing vocals. Polished and powerful and perfect. Lyn almost harmonizes with herself! Far Away: (Feat. Damon Morton) – As soon as I saw who she was singing with I knew that this would be a bit spesh and a Kaz kinda song. Sad, sweet and extremely moving. Awesome duet for many reasons. Fields of Gold – Classic Sting song – one of my favourite songs of all time. It has been sung by many, sung by Lyn on The Voice and truly a song that she makes her own. Sting and her dad would be proud. Such a perfect song for Lyn. Fits her like a glove. Let It Be – Ironically, Lyn sings two of my favourite songs on this EEP and this is the one that I hoped that she would sing on the voice, given the category. Actually, she doesn’t just sing it, it is like a psalm or a prayer. Two songs that seem to be written especially for her to sing. Whether Lyn sings alone or with a trio or duo, she always gives us a beautiful gift to treasure. She’s a writer, a writer of songs. An Australian writer of songs. This is a great little EEP (Extended, Extended Play). There is a bit of bluegrass, a bit of swamp music and some definite torch and twang and blues. 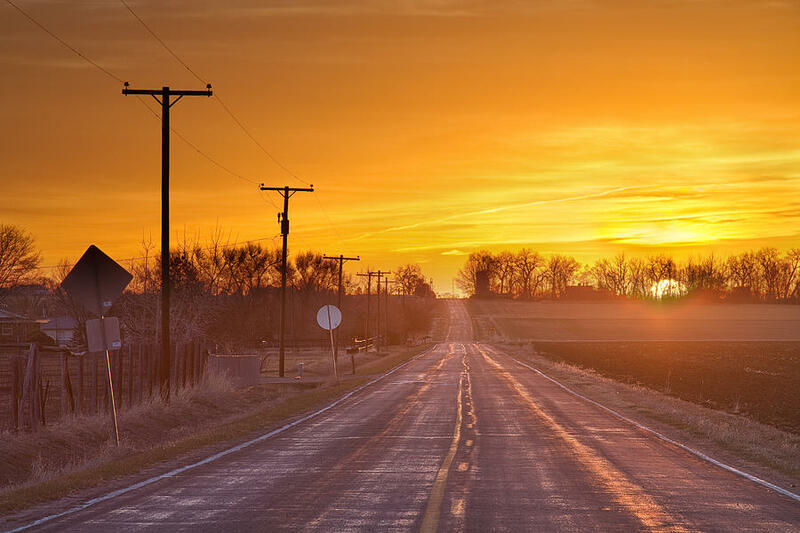 I can hear Alison Krauss, Sara Evans, Rosanne Cash and the like here. There is no doubting that this is a country album. I have played it about 10 times already. 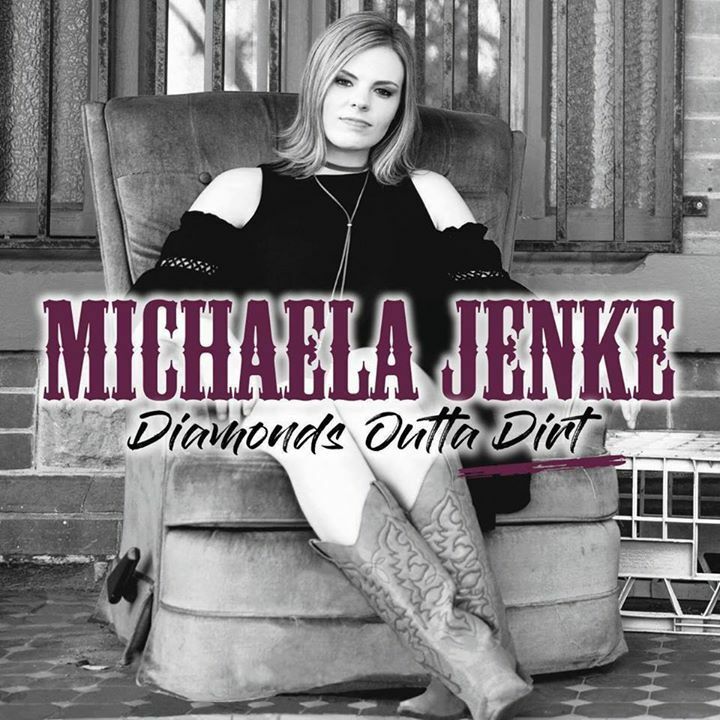 I was lucky to catch Michaela briefly at Mildura last year, and it really only took one or two lines of a song to have me smiling and thinking….yup, this kid has got it. The beauty of this EEP is that every song is a little bit different. You have a little view of things to come. I only have the Itunes version so I don’t know who played what, but the musicianship on this EEP is very slick. I like all of the tracks but The Highway is definitely a great way to end the EEP and it is very cool. Take my hand is also on high rotation. It is good to hear the young ones put a traditional country sound on a new song. If this is a promise of things to come then I will be there for the ride. I don’t usually do video or single reviews on here, but this is extra special. Melissa is one of my sisters from other misters and this is a special song. Mel wrote this beautiful song about one of our very finest, Luke O’Shea. 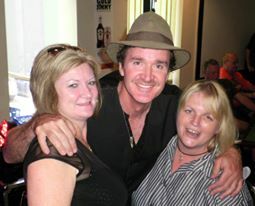 We are pictured here with the legend a few years ago at Tamworth. Melissa has been clever enough in her song to include a few Lukie song titles and songlines as well as the Celtic kind of feel that he has to his music. The video is clever, except that I know how Luke walks and his beard is a bit too thick in parts but that is just the mind of a Luke O’Shea stalker here. Most people wouldn’t know the difference. It is a loving and lovely tribute to one of our legends and written by a very fine writer of songs as well. Small Town, Big Shot was always going to be a big act to follow, a real class act, perhaps….Fanny Lumsden won best new talent at the Golden Guitars this year and she was nominated for a few others. In the last few years, there have been some amazing new talents in Australia, so this was no mean feat. Fanny has, what I term ‘a haunting quality’ in her voice. She is in good company with this element to her music. 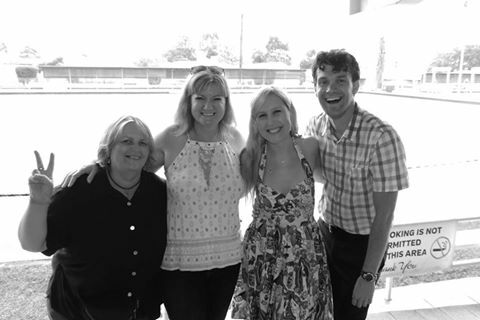 Aleyce Simmonds, Imogen Clark, Gretta Ziller, Jen Mize, Melody Moko, Lyn Bowtell, Laura from The Weeping Willows and Allison Forbes have it in Australia and it is a very special quality to have in your music. These gals have that incredible vibe to their music that touches you deep and won’t let go. You don’t want it to let you go. Don’t get me wrong, there are others who sing beautifully and raunchy and all of the other qualities but this is a special area in music. In many ways, I like this album even more than the last one. With Matt Fell steering the ship, it is really hard to go wrong. I loved the last one, it is probably one of my favourites in the last few years, but this just takes it up a notch. There are some fun songs, some songs that tell it like it is and others that just get you in that good place. Pretty Little Fools is definitely a shower song contender. I am a bit restricted with my shower songs at the moment because I am living in a pub but one can’t help but bounce the soap around to this one. Peppercorn Tree is a bit cheeky but real and it will be a treat at gigs. There’s blues, torch and twang, catchy ditties and soulful numbers. Shootin’ The Breeze is definitely one to please the purists. Perfect Mess is just a beautiful song, almost Emmylou Harris like. I could relate to this song, it reminded me a lot of my childhood. Real Men Don’t Cry (War On Pride) probably is my favourite, but there are no duds here, they are all amazing songs for different reasons. Here to Hear is a wonderful way to end a stunning album. 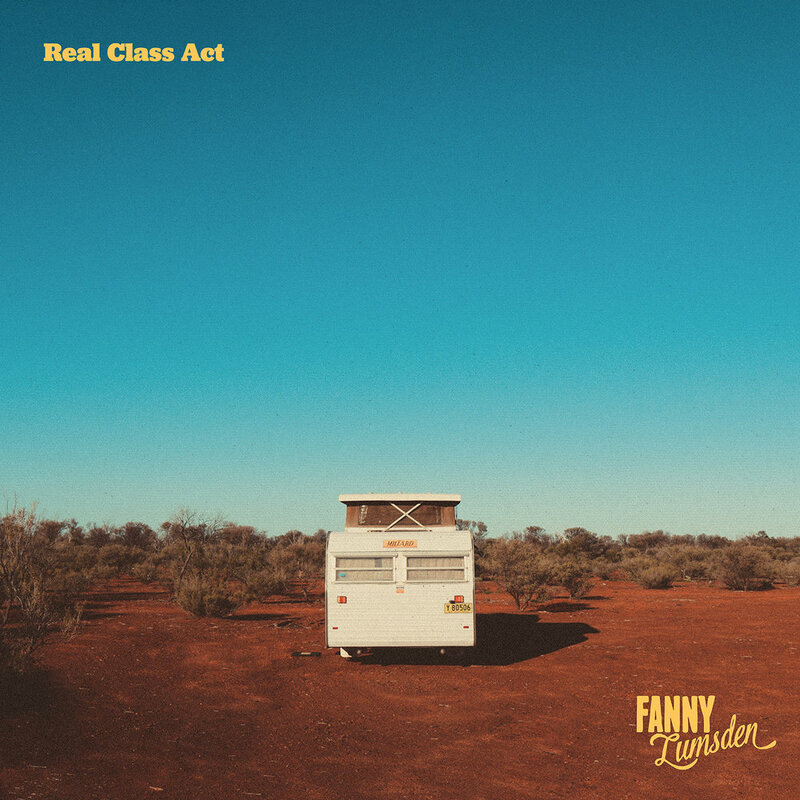 From Watershed through to the last track, this album is not just a Real Class Act, it is further proof that Fanny will be around for a long time, producing quality music for welcoming ears. I am glad that I am here to hear this gem. Congrats to all concerned. A few years ago, I spotted a young fella at Tamworth’s Atrium and I thought, here’s something like you have at a wedding: something old, something new, something borrowed and something blue. He stood out like a Big Mac at a Vegetarian’s birthday party. A sassy entertainer, dressed smartly with a real country sound to original songs….and so young. The guy was Angus Gill. He does it all, which makes his future even more bright. The fact that he has blokes like Harvey, Bennett and Morris on his album says a lot. The fact that legends like Allan Caswell and Beccy Cole are cheering him on says a lot too. This album is one of a few lately that come under the banner of concept albums. This one concentrates on songs that have something to do with driving, vehicles and roads. It is a little bit more than that though, as you dig a little deeper. There are a lot of double meanings and clever word plays. I have been waiting for this album for a very long time and I am so happy with the finished product. Angus is a very fine young talent and a very unique one. He is very Australian and very loyal to the country music sound but he is also brilliant at giving an old sound a new coat of paint. He has a sense of fun and he pushes the boundaries but he also knows how to mellow out and give us something to think about. This album has a great mix of all of that and a little bit more. 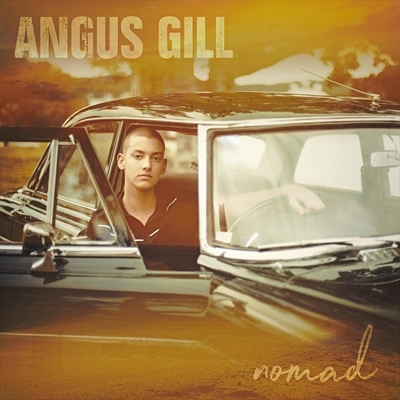 This album is a labour of love, it is obvious from first to last that there has been a lot of thought put into this album – the words and the music and the subject matter – I think that the words of one of his songs here, I ain’t no walkin’ cliché – probably sum up Angus and his songs. This is a great album of various country music styles and moods. Angus was a finalist at this year’s starmaker at Tamworth and he has a great future ahead of him. If he is this good now, what is he going to be like at 30 or 40. I hope that he stays true to himself and to his style, there’s no reason to conform. This is a clever album on many levels – musically and in meaning. A well crafted effort from a very talented young man.